Italian food is one of our favorite cuisines to consume, so this was the perfect place for us to start our blogging adventure. First of all, Patrizio’s is in a great location. West 7th is quickly becoming one of the most happening areas in Fort Worth. It boasts everything from boutiques to a wide variety of restaurants and bars to the Movie Tavern. We went to Patrizio’s with two friends, Erin and Stephen, on a Saturday night. 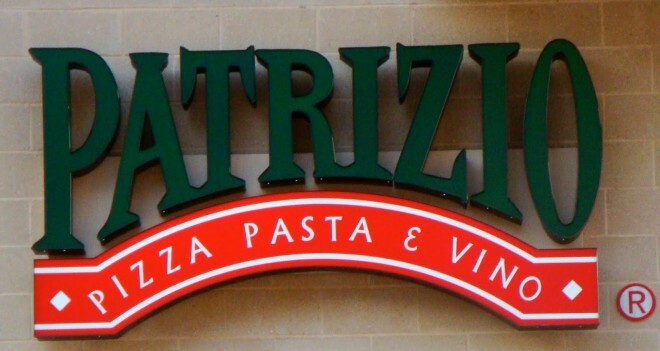 Just a heads up, Patrizio’s only takes reservations for parties of ten or more, so make sure to get there early on weekends or go during the week to avoid waiting to be seated. The interior of the restaurant was very plush and elegant. We liked the rich materials that they used to create a more luxe feel. The floors were marble as well as the tabletops and counters in the bathrooms. The lighting was dim, which created a more intimate atmosphere. Chandeliers hung from the ceiling adding to the elegant ambiance. To avoid the thirty-minute wait to be seated inside, we decided to sit outside on the patio. Thankfully they had fans outside and the sun had already started to set so we weren’t too hot. The patio was very picturesque with twinkling lights strung up and we were able to people watch. You’re bound to see some interesting characters out and about at West 7th during the weekend. There was also a band playing live music in the square that we were able to enjoy from the patio. We started out with the Calamari Fritti. 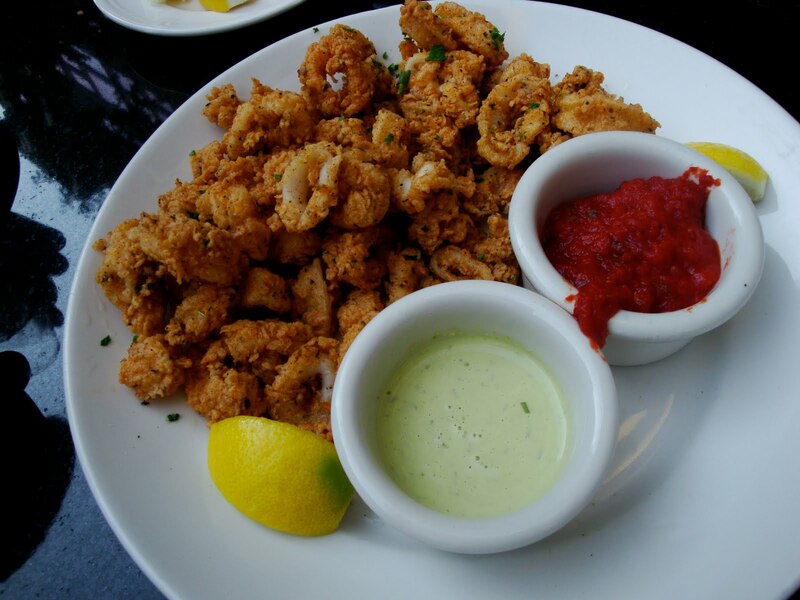 The calamari came with two sauces for dipping, a basil aioli and marinara. The basil aioli was out of this world; it complimented the calamari perfectly. The calamari was tender and not overly breaded with a slight kick to it. We definitely recommend it as an appetizer. Next up, a Caesar salad. Caesar is Barbara’s absolute favorite so she almost always tries it when dining out. It wasn’t overly dressed but the dressing was a little garlicky for my taste. Patrizio’s Caesar was good at best. Conchiglie Con Pollo – It included sliced chicken, roasted corn, peas, tomatoes and shell pasta tossed with a white wine cream sauce topped with a fresh herb and Romano cheese gratin. 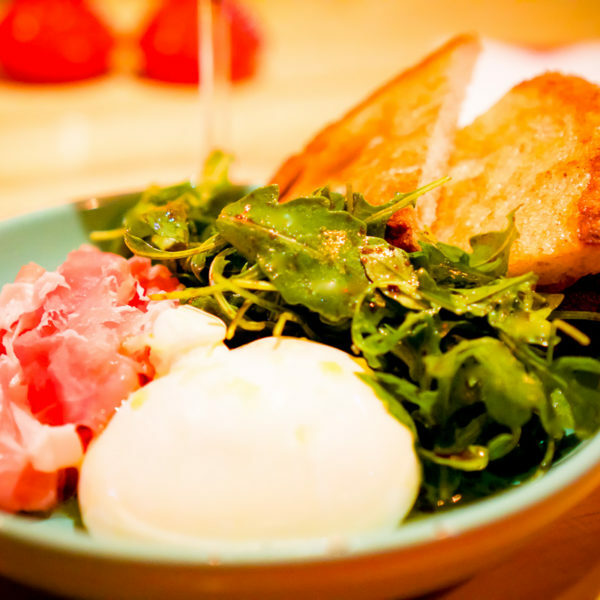 This dish was truly a treat for our taste buds. We loved the unexpected addition of corn and peas to the dish. 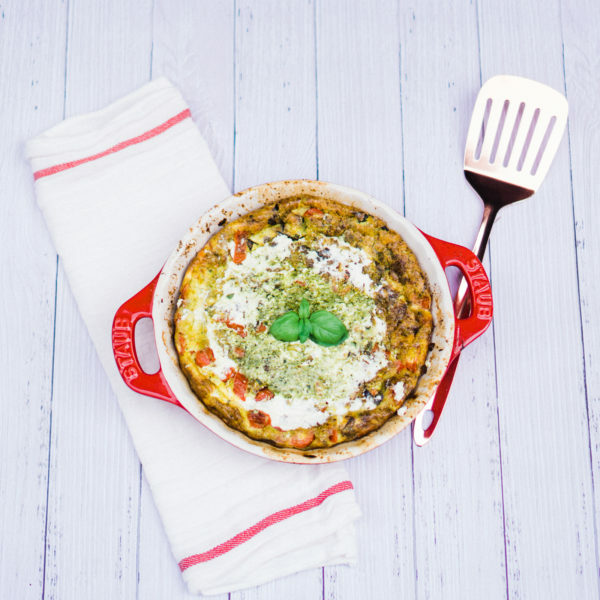 If you like hearty, savory pasta dishes then this dish is perfect for you. Every flavor went great together. As is usually the case, we were too full for dessert even though they all sounded divine. 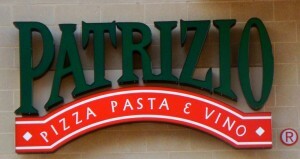 Overall Patrizio’s was very satisfying and I will definitely be going back soon to get my Italian fix. I was pleased with the great service and posh atmosphere. 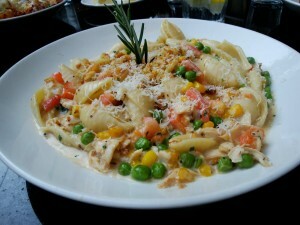 If you have a hankering for good Italian then Patrizio’s is definitely worth trying. They have a great wine list too.